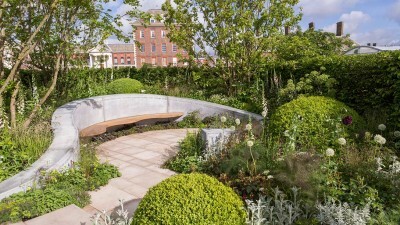 This week, visitors to the RHS Chelsea Flower Show are being treated to five ‘Feel Good Gardens’, each designed by high-profile figures in horticulture, and in association with BBC radio 2. 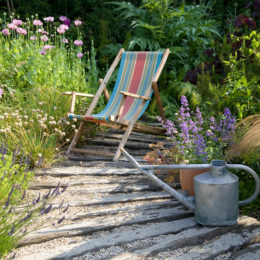 The aim of the gardens is to indulge and stimulate the different senses and encourage people to lose themselves in order to calm the body and relax the mind. 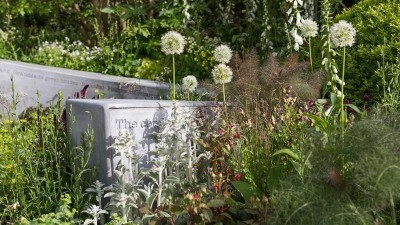 The Jo Whiley Scent Garden, designed by Tamara Bridge (2015 RHS young designer of the year), and Kate Savill, has been created with the help of famous perfumer Jo Malone. 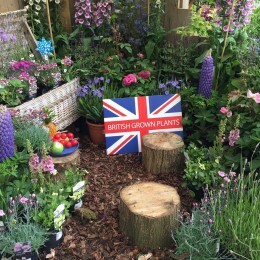 The garden celebrates scent to enhance mood and lift spirits and improve well-being. 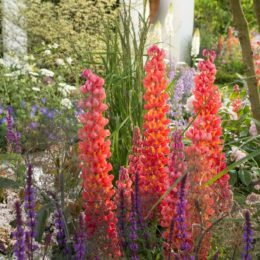 The designers took to social media to establish the nation’s favourite scent memories which included baled haylage and freshly turned earth and some of these favourite scents are inscribed along the garden wall. The power of smell should never be underestimated! 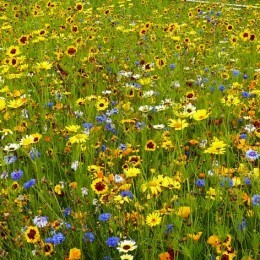 The scent of a flower can momentarily transport us to a moment in time or to a place, triggering past memories. The aromas of lavender can stir memories of family summer holidays to France, French courtyard scenes and the lavender fields of Provence. 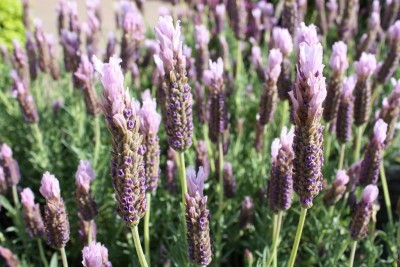 If the fragrance alone isn’t enough to convince you to grow French lavender, consider that the plants have a long flowering period, are drought-tolerant, and require little maintenance! 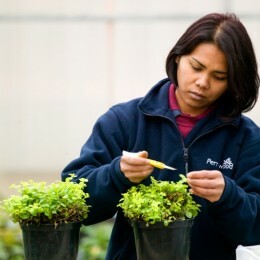 They are wonderful as edging, at the front of a border and perfect for containers. 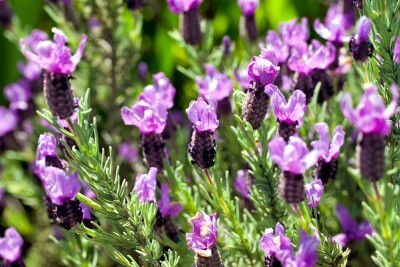 Lavandula stoechas ‘Bella Rose’ – among one of the earliest lavenders to bloom (mid-spring to late summer), and a magnet for bees and butterflies! 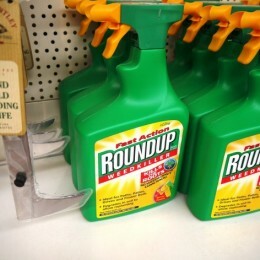 They make excellent cut flowers. Lavandula angustifolia ‘Hidcote’ – a classic and popular lavender with deep purple flowers that contrast beautifully with it’s silvery-grey leaves. 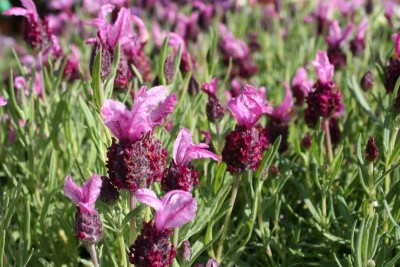 Lavandula lusitanica ‘Lusi Pink’ – a slightly more unusual variety of lavender, it has your usual purple-blue flowers, but with light pink tufts! The long flowering bloom are fairly large and have a fabulous fragrance. 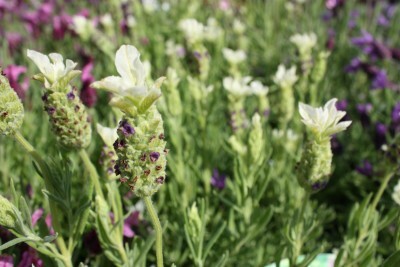 Lavandula stoechas ‘Tiara’ – bears purple-blue flower heads and creamy-white tufts. 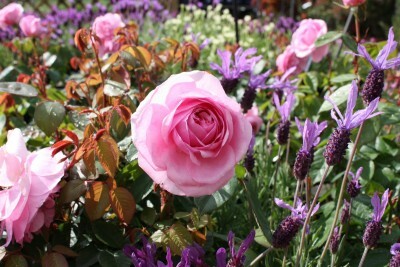 One of the best companion plants for lavender is roses, paired together you’ll have colour and fragrance for weeks. 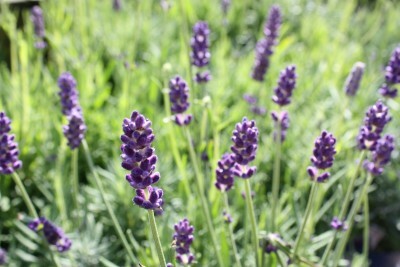 Lavender is also has the added benefit of being a natural pest control, as it’s scent distracts aphids from the roses. 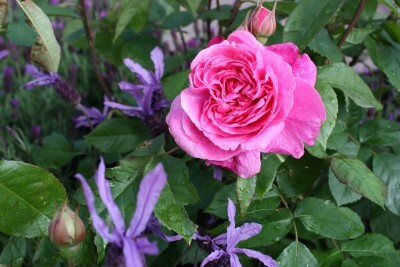 Rosa ‘Gertrude Jekyll’ – one of the best roses in the world! (Voted England’s favourite rose by BBC Gardener’s World viewers) Magnificent scent, strong growth, very reliable, repeat flowering, we can’t recommend ‘Gertrude Jekyll’ enough! Rosa ‘Olivia Rose Austin’ – a beautiful fruity fragrance rose that will repeat flower through the summer months.